For the first time ever, four volumes of the legendary television series “The Carol Burnett Show” are available in a digital format, Time Life announced today. 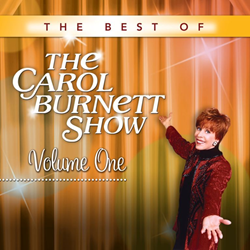 Classic TV aficionados and newcomers can now enjoy this beloved series – heralded as one of the “100 Best Television Shows of All Time” – exclusively for digital download on iTunes at http://www.iTunes.com/CarolBurnett. “We’re thrilled that this timeless series is available exclusively on iTunes. Aside from being one of the most iconic TV variety shows to ever air, ‘The Carol Burnett Show’ and its sketch comedy format is a perfect complement to collections of comedy fans of every era,” says Jeffrey Peisch, SVP, New Product Development & Marketing for Time Life. Volume 2 contains 15 episodes from the 7th and 8th seasons (1973-1975). It features hysterical guest appearances from Ruth Buzzi, Steve Lawrence, Joel Grey, Vincent Price, Bernadette Peters, Jim Nabors, Alan Alda, and The Smothers Brothers. Includes recurring fan favorite sketches “Stella Toddler” and “The Family,” plus “La Cuperucita Roja” (Little Red Riding Hood) and musical performances by The Pointer Sisters and The Jackson 5! Volume 4 contains 15 episodes from the 10th and 11th seasons (1976-1978). It features sidesplitting guest appearances from Roddy McDowall, Alan King, Betty White, Eydie Gorme, Ken Berry, Helen Reddy and Steve Martin. Fan favorite sketches include “As the Stomach Turns,” “The Oldest Man” and many more. While there’s no truth to the rumor that “CBS” ever stood for The Carol Burnett Show, for 11 seasons and 278 episodes, this star-studded extravaganza of sketch comedy, song and dance became entertainment central for the network and TV viewers. Taped before a live audience at Hollywood’s CBS Television City Studio 33, The Carol Burnett Show featured clever, dazzling production numbers in an intimate environment, thanks to strategic camera placement that brought the actors and audience closer together. Burnett operated in a relaxed theater setting that allowed her to take questions, cut loose with her famous Tarzan yell and join fellow performers Harvey Korman, Vicki Lawrence and Lyle Waggoner to have a laugh or sing a song. The show received 25 Emmy Awards and eight Golden Globes, making it one of the most honored shows in television history. TIME Magazine named The Carol Burnett Show one of the "100 Best Television Shows of all Time" and Carol Burnett has been honored with more People's Choice Awards than any other actress. Time Life is one of the world's pre-eminent creators and direct marketers of unique music and video/DVD products, specializing in distinctive multi-media collections that evoke memories of yesterday, capture the spirit of today, and can be enjoyed for a lifetime. TIME LIFE and the TIME LIFE logo are registered trademarks of Time Warner Inc. and affiliated companies used under license by Direct Holdings Americas Inc., which is not affiliated with Time Warner Inc. or Time Inc.